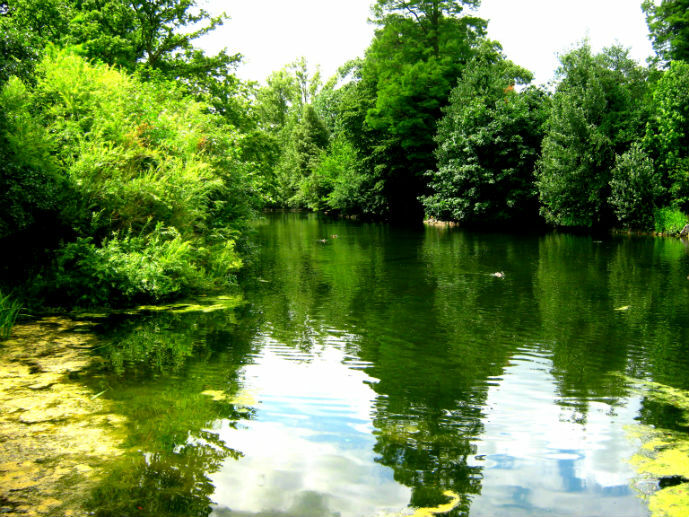 I’m taking you back to London this week, with a photo post and mini tour of my favourite place to visit in London, The Royal Botanic Gardens Kew. It was featured as one of my 60 Things to See and Do in London series back in March and at the time I struggled to pick just one photo to show you so I made a note that I would share the rest with you in a few weeks time. 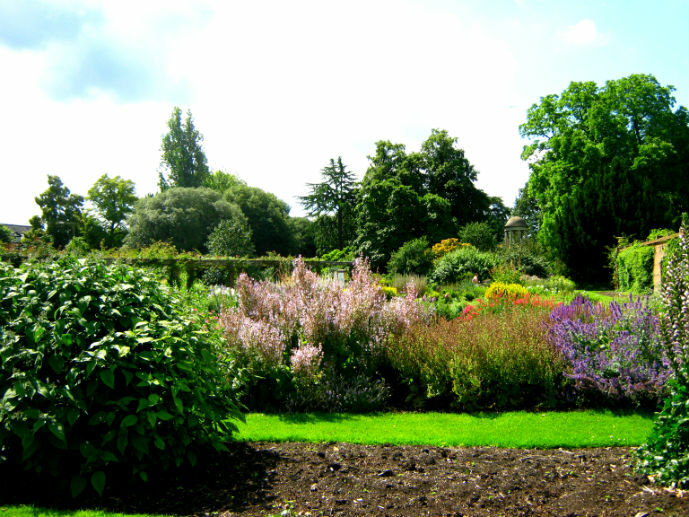 If you love green spaces and like to get out of the big cities from time to time when your travelling, then the gardens at Kew are the perfect place to visit just on the outskirts of London. 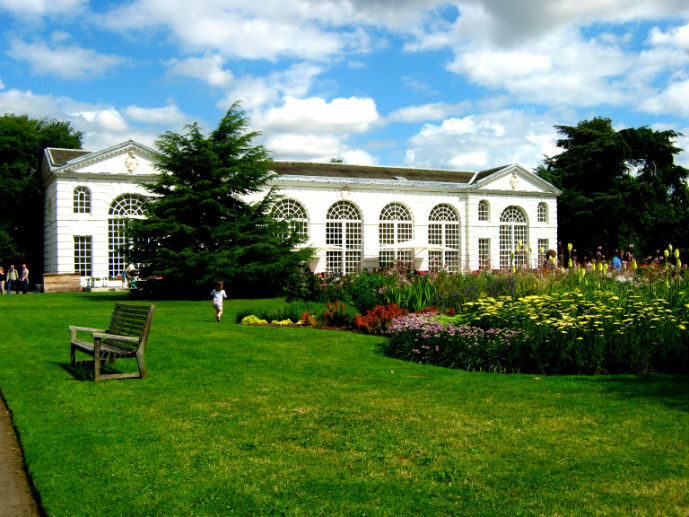 It’s very simple to get there by Tube on the District Line or the Overground, alighting at Kew Gardens Station which is just a few minutes walk from the Victoria Gate entrance to the gardens. There’s a really great map on the gardens website which is the same map you will be given when you pay your £15.00 entry fee at the gate. For this tour today I will be using this map to take you anti-clockwise from Victoria Gate around my favourite parts of the gardens. Once you through the gate you’ll first notice the cafe and shop. If you need to grab something to eat or drink, this is the cheapest place in the grounds to do so. The sandwiches and cakes are delicious and homemade and they had a really nice selection of different lemonades which we found refreshing on the mild sunny day. First stop is the Palm House and lake. It’s the first of many picture perfect spots around the gardens with the huge trees towering over the lake. 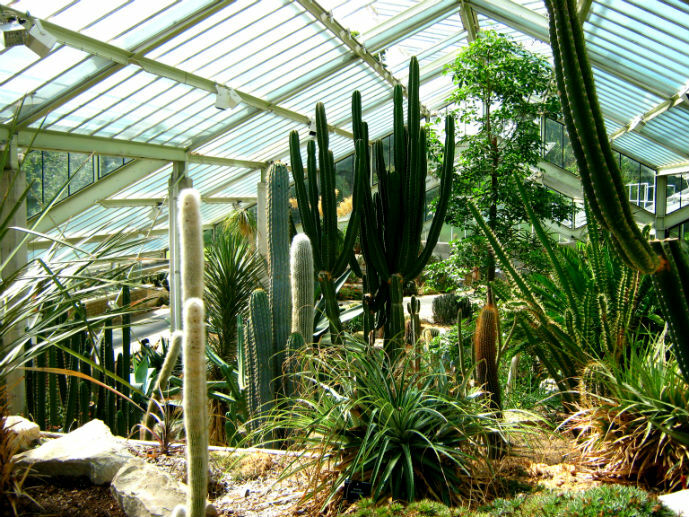 Inside the Palm House you will find palms, ferns and other tropical style plants. The structure is made of wrought iron arches held together by horizontal tubular structures containing prestressed cable which all supports the large glass panes. The 19m central nave is surrounded by a walkway which you can climb the stairs to for a birds eye view down onto the plants below and get a closer look at the top of the palms. My favourite part of the Palm House is the structure itself which has rusted and worn overtime which gives it an antique feel. 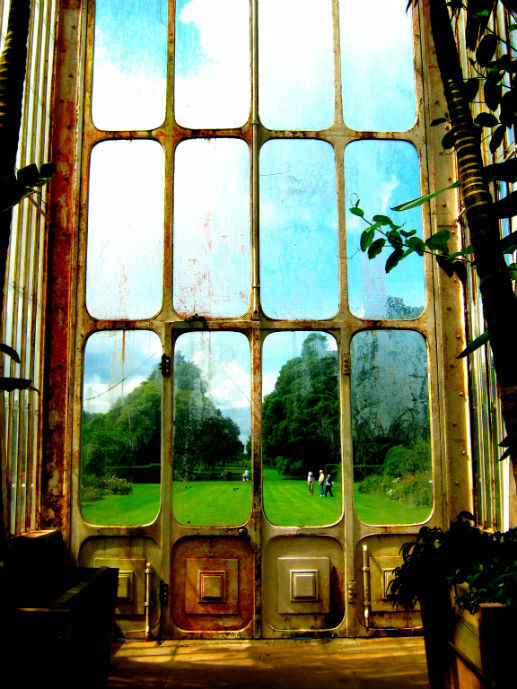 The rusted, antique looking Palm House windows. Head east now away from the Palm House to the south east corner of the garden. This is where you will find some the nicest and most interesting themed gardens. 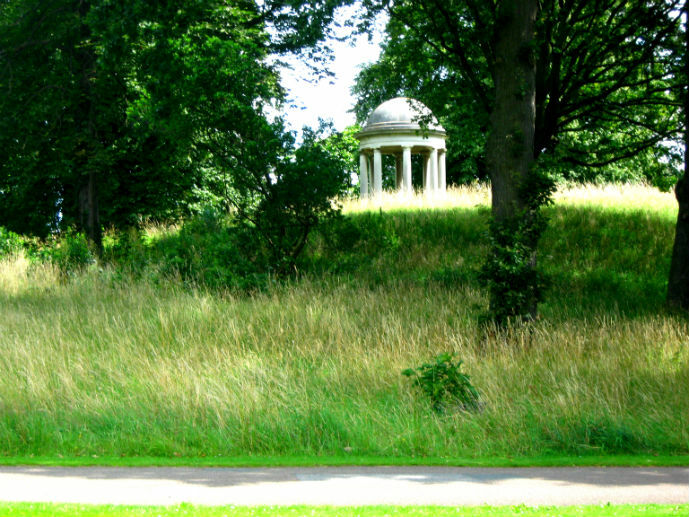 First up is the Woodland Green and Temple of Aeolus perched on a grassy mound. 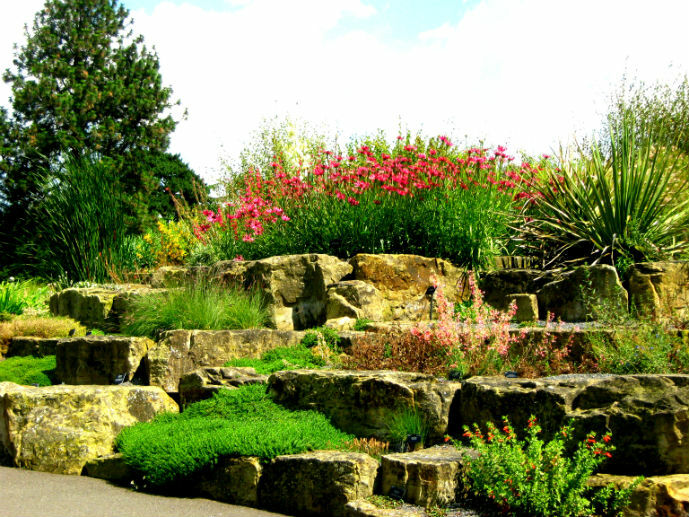 The Rock Garden is next and is divided into six geographical regions: Europe, Mediterranean and Africa, Australia and New Zealand, Asia, North America, and South America. 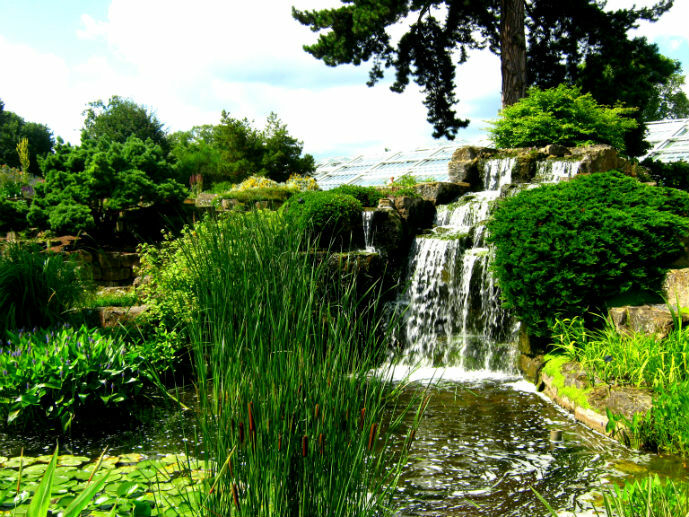 There are over 2,000 plants in the Rock Garden along with a small pond and waterfall. Next take a walk into the cleverly designed Alpine Garden. The specially designed arch roof allows natural airflow to provide ventilation which is important to the plants that are housed here. 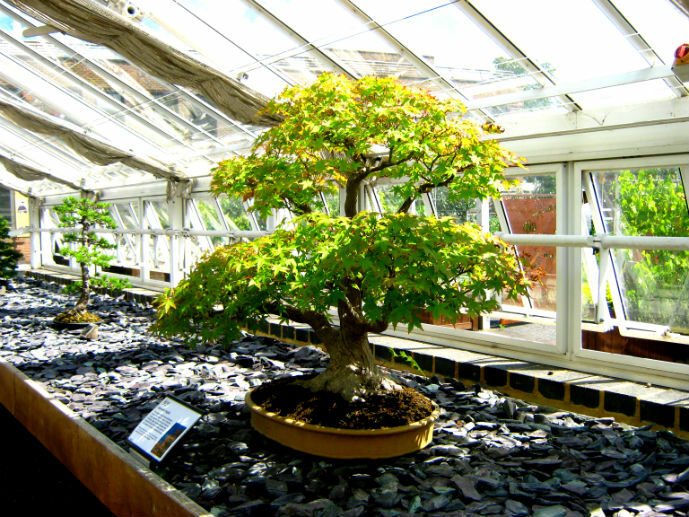 Just outside of the Alpine Garden is the Bonsai House with a small collection of bonsai plants on display. 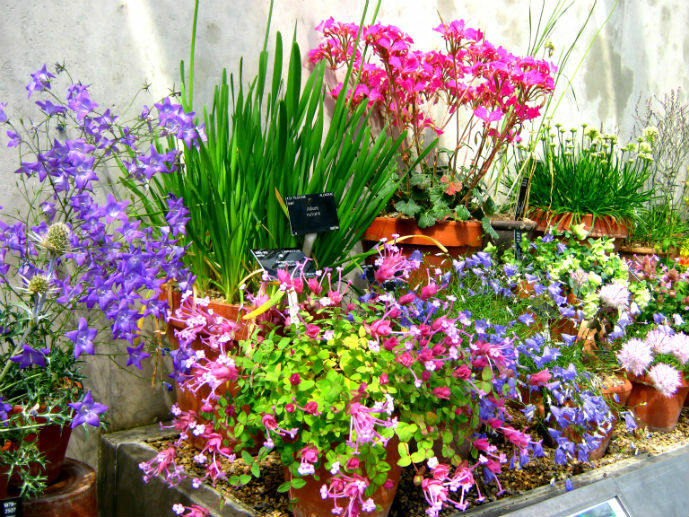 I’ve always found these miniature plants fascinating and would love to grow one myself one day but I just don’t think I would have the patience needed to tend to these masterpieces. 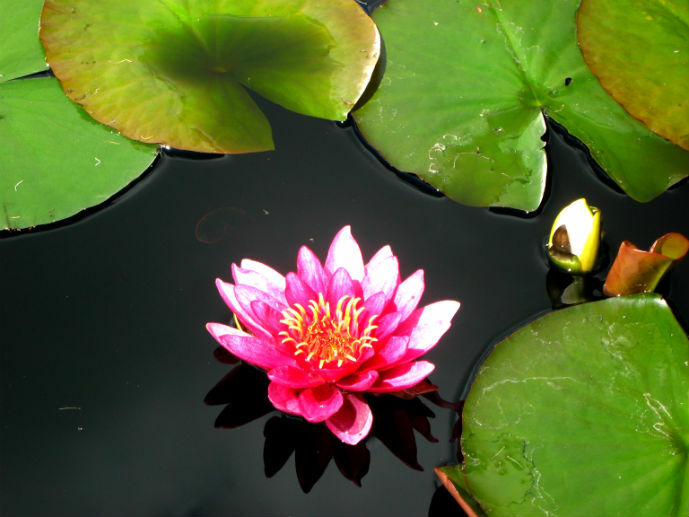 Some of the nicest water lilies I have seen can be found in the Water Garden. This small pond is surrounded by bench seats and was very quiet the day we visited. It’s the perfect spot for a few moments rest. The wild cottage style garden complete with arbour is beautiful and had I visited in spring, the arbour would have been flowering. Despite this, it is one of my favourite places in the garden. 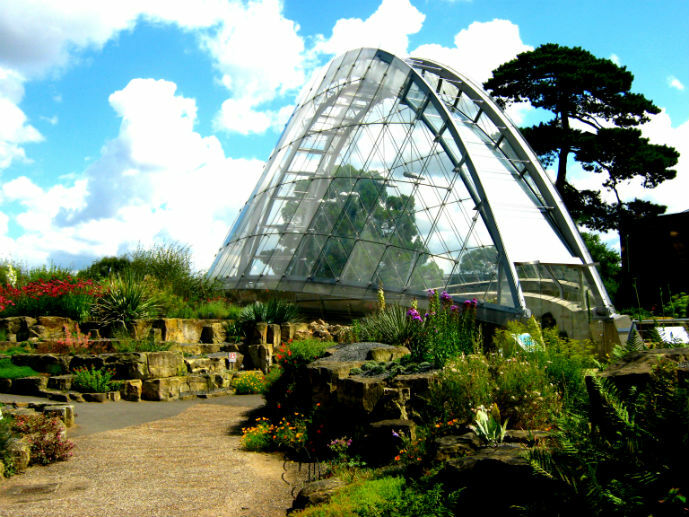 The next greenhouse is the Princess of Wales Conservatory which houses ten micro-climate zones mostly comprising places from the wet and dry tropics. 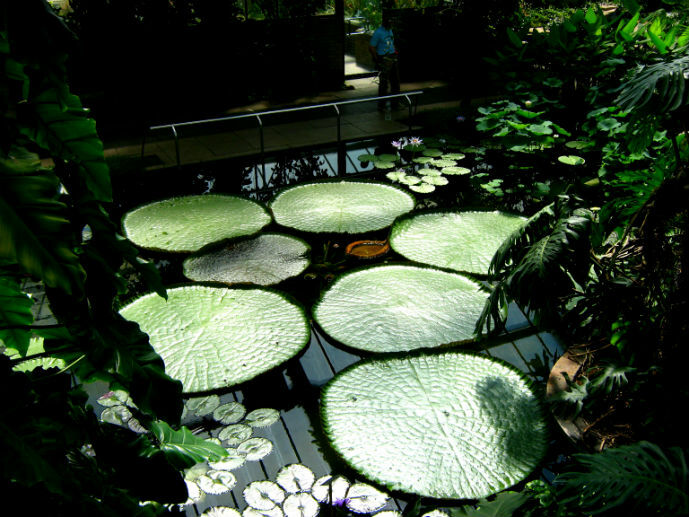 There are some giant lilipads in the ponds in this conservatory along with a collection of orchids and cacti. Walk north now, out of the east corner and you will come across the beautiful Orangery building which is a restaurant. 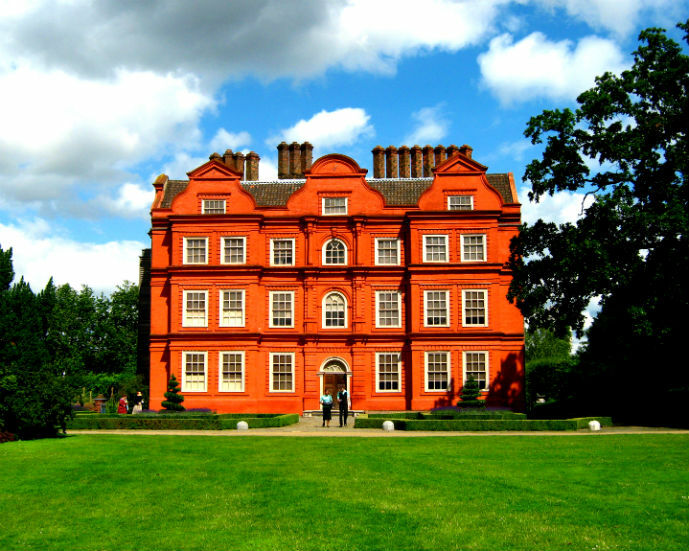 From there you can’t miss the striking red brick Kew Palace. As one of the Historic Royal Palaces it is possible to enter the palace as part of your gardens entry ticket. Start to head west now and then north west up one of the pathways through the more densely wooded and overgrown gardens. Wander through the Magnola and Azalea gardens before cutting across to the lake in the middle of the gardens. 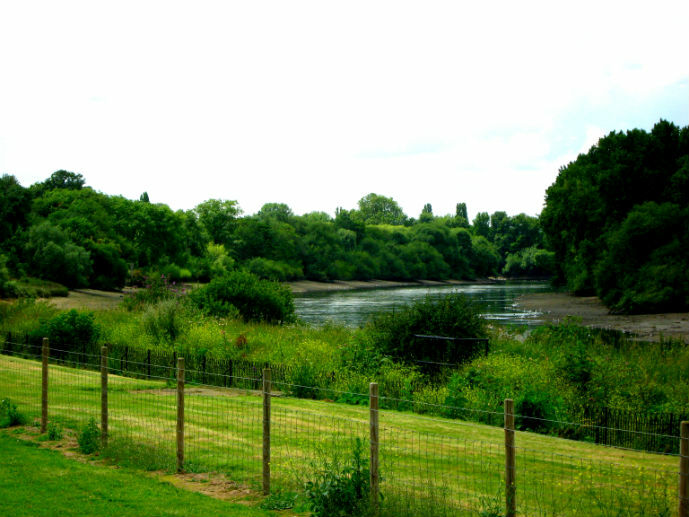 Follow the lake north west until you reach the northern most boundary of the gardens and the River Thames. 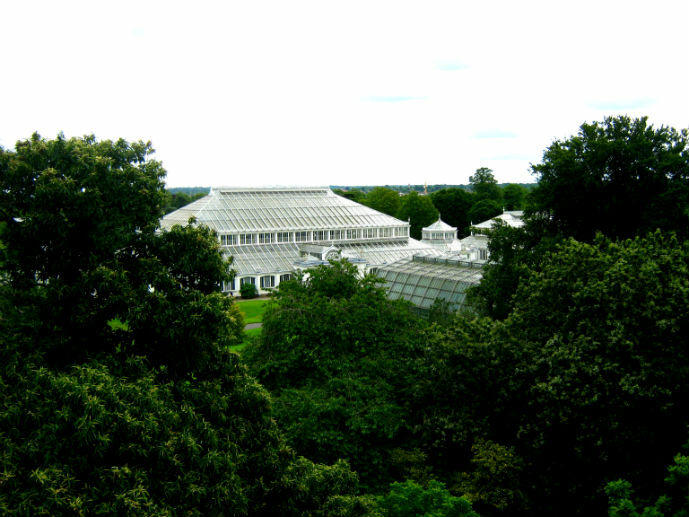 From here, the highest point of the gardens, you have an incredible view looking down the Syon Vista to the Palm House and the Cedar Vista to the Pagoda. Walk down the Cedar Vista until you get just past the lake and turn left into the trees until you reach the Treetop Walkway. 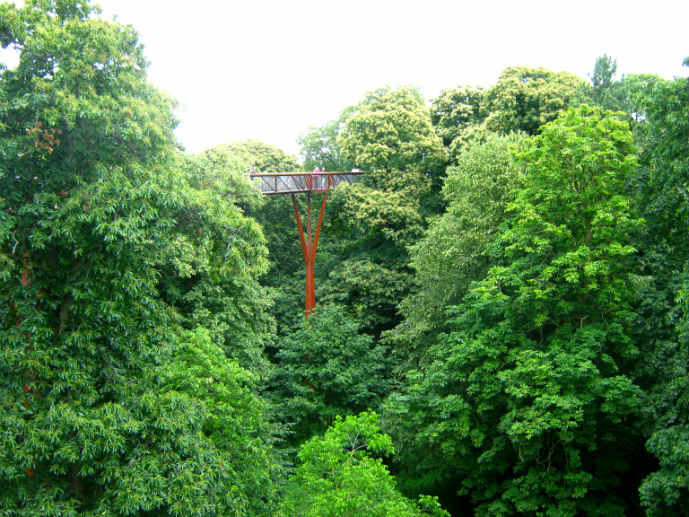 Climb the stairs to the 18m high walkway into the tree canopy. Here you have a great birds eye view looking south into the garden. Head back out to Cedar Vista and you will catch your first proper glimpse of the Great Pagoda. 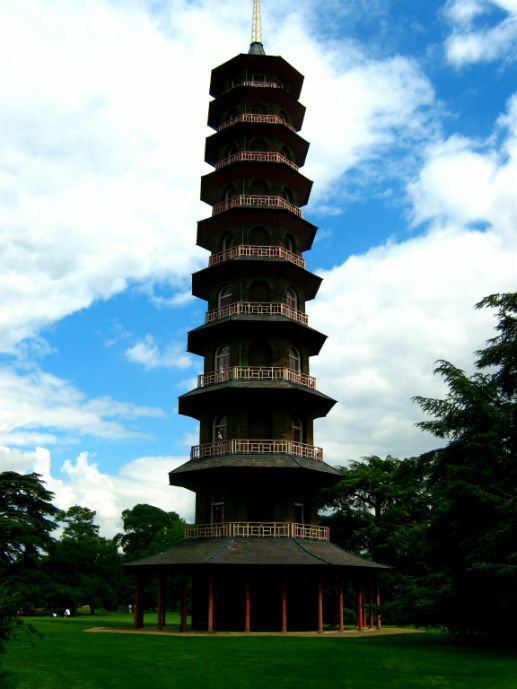 This 50m high Pagoda was erected in 1762 and is covered in ceramic tiles and adorned with dragons. The final walk east will take you past the Temperate House, which is closed for renovations, and back to the Victoria Gate. Because the gardens are so big it never feels crowded even on a nice day. 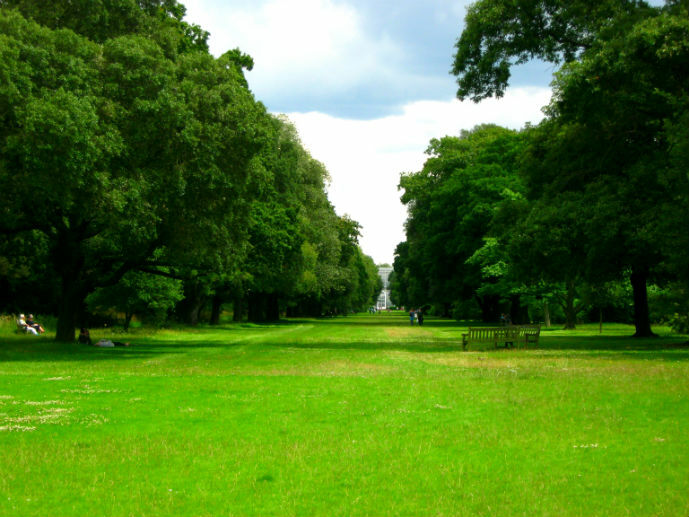 It’s very easy to find a secluded spot for a picnic or just to laze on the grass and read a book. The thing that makes this green space so much better than the rest and worth the entry fee is that it is so well cared for. 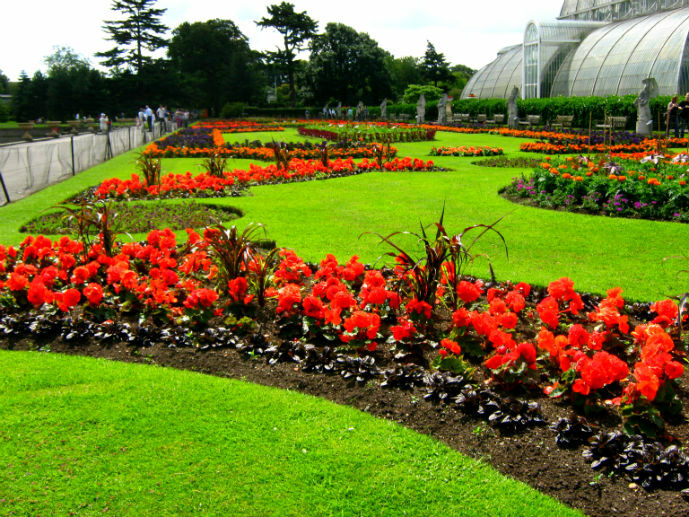 The Royal Botanic Gardens is the world’s largest collection of living plants and employs more than 650 scientists and staff to research and tend to the gardens. 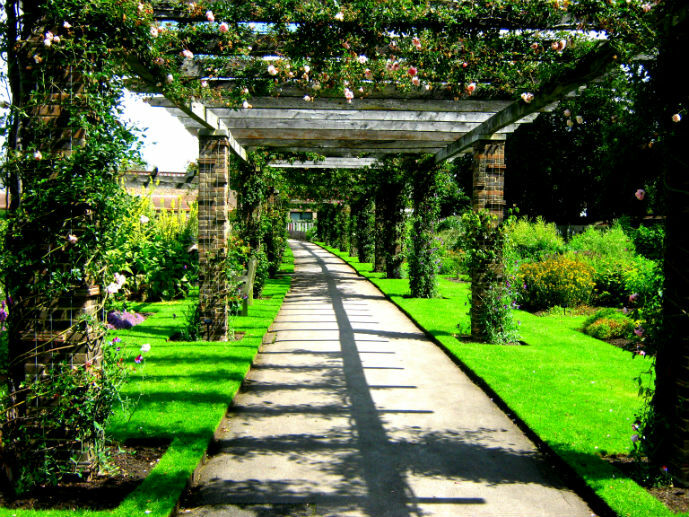 Not only are you seeing some beautiful gardens, but also some historic architecture and getting a history lesson of two as you go. 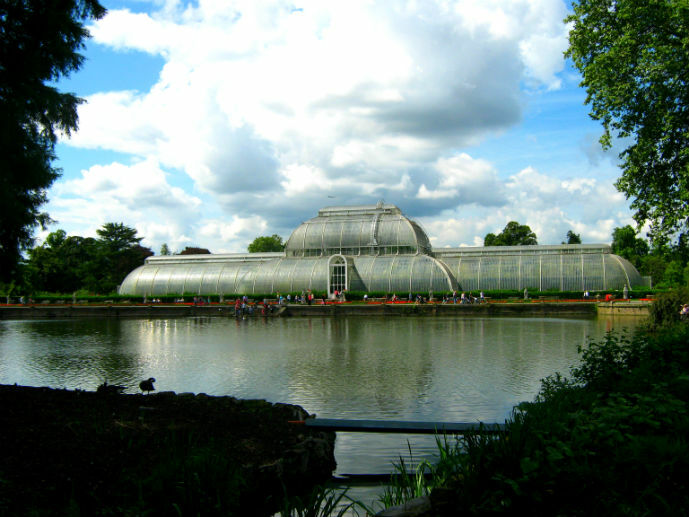 Have you visited The Royal Botanic Gardens Kew or would you like to? 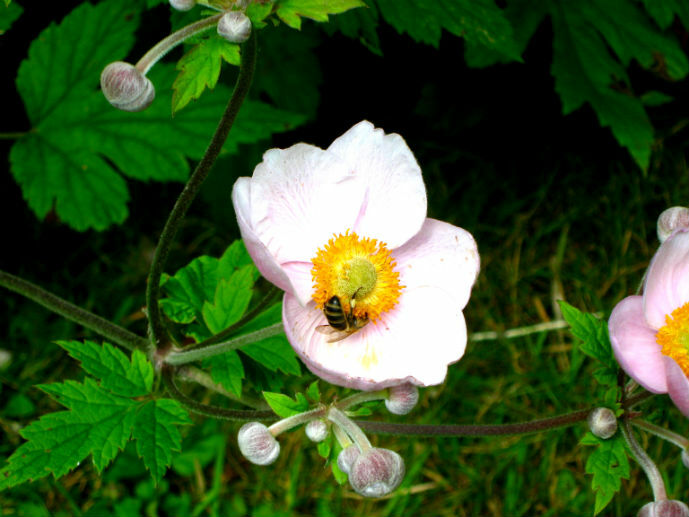 Where are your favourite gardens? It’s so beautiful and I wish I could spend there one afternoon. Do locals practice yoga and meditation there? I didn’t see any there when I visited but it would definitely be a good place to do so. It takes a little more effort to get to than most other places in London but it’s totally worth it. Hope you visit soon! beautiful! never got a chance to visit but wish I had of! Thanks Bec! Maybe an excuse to go back.